Until I get internet access at home, we’ll have to settle for what I can do with my phone. At least I have good cell service and I can upload photos now! 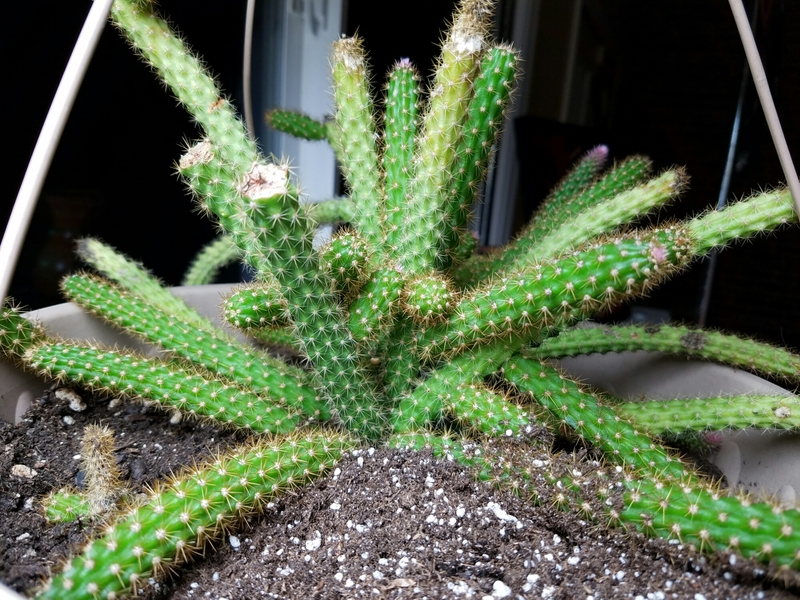 When I first got this cactus, is was just a single small cutting. Now it looks pretty big, considering the fact that it gets beat down by our cold wet winters every year. 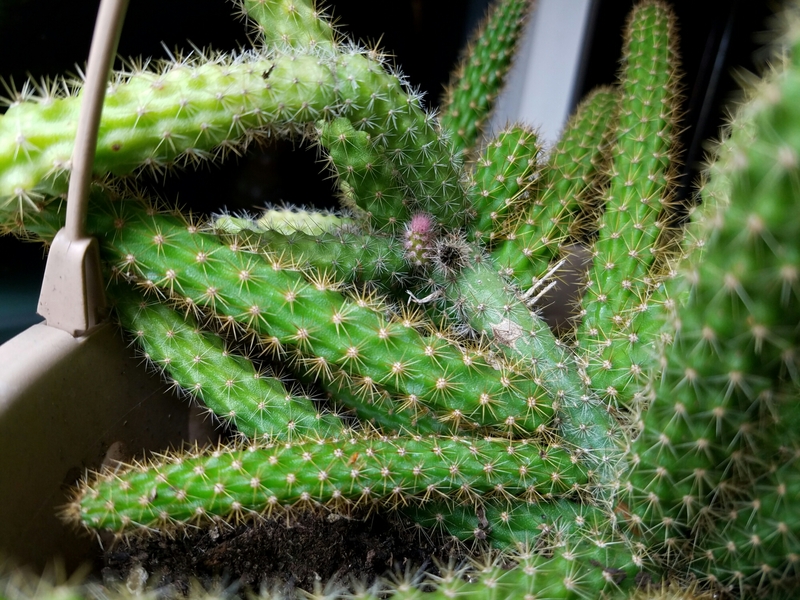 I figured I should take a few photos of my Disocactus flagelliformis (Rat Tail Cactus), since it’s been such a good sport for me. While I was away, it not only survived; it actually grew. It took freezing temperatures, blazing heat, dire lack of water, and anything else thrown its way. Granted, it took some damage with the cold weather. After the mushy ends of the arms were removed, they healed up nicely. It should get a couple of new arms growing from this point in the near future. It is really looking better recently. I think it likes sitting on top of a fluorescent light. 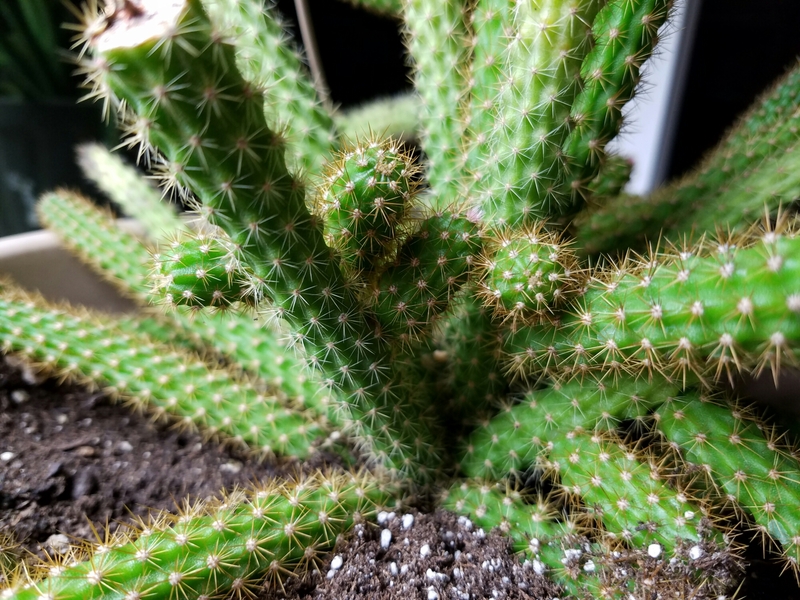 You can easily tell where the new growth is occuring by looking for the soft pink spines. Once they lose that neon hue, they aren’t quite so soft. Not deadly, but not comfortable. 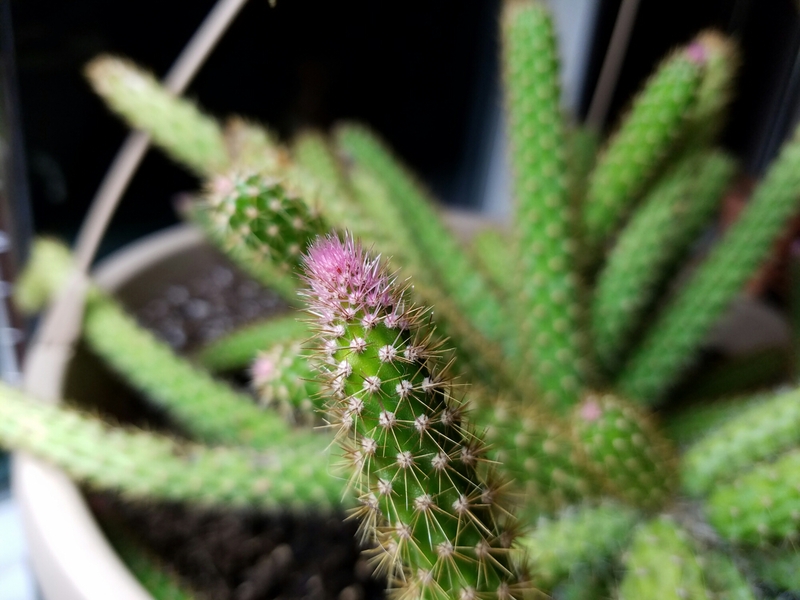 I’m going to go out on a limb and guess that the flowers on this cactus will be pink. 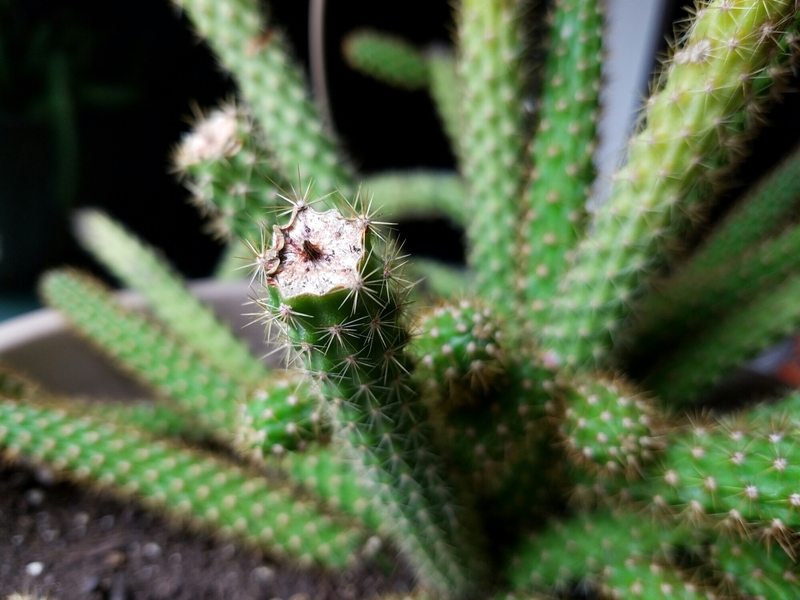 Usually a new arm will sprout next to some sort of damage to the cactus, but sometimes they just show up for no apparent reason. I don’t mind it at all. The more arms, the better! You can see a little arm bud appearing in the middle of that tangle of arms. One more right there couldn’t hurt. A few arms that got a late start last year have survived the winter. They look like they are just about ready to start growing again. Even though winter isn’t technically over, it is over for my plants. No more cold and dark days or nights! I may have to deal with winter weather for a few months every year, but at least I don’t have to deal with tropical storms or hurricanes. Next Next post: The Weather Is Better… at Larnach Castle!